Happy World Egg Day! 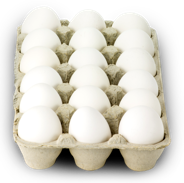 Since 1996, countries around the globe have celebrated World Egg Day each year on the second Friday in October. World Egg Day was created by the International Egg Commission (IEC) to help raise awareness about the amazing benefits of eggs, and a central segment of our agriculture economy.